I sent this Mail Art Postcard in 2012 to 'Carnet du Voyage', a call for entries . 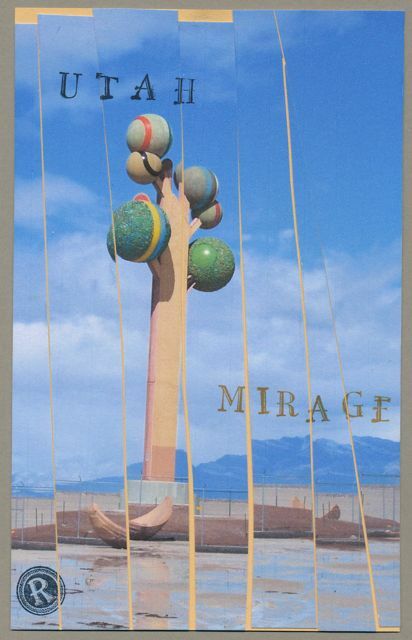 Along highway 80 in Utah, this sculpture blooms in the sterile Bonneville Salt Flats. I altered the photo to give the semblance of a mirage.